Better Homes and Gardens By Design, is a mid-sized brokerage that produces millions in sales volume each year. 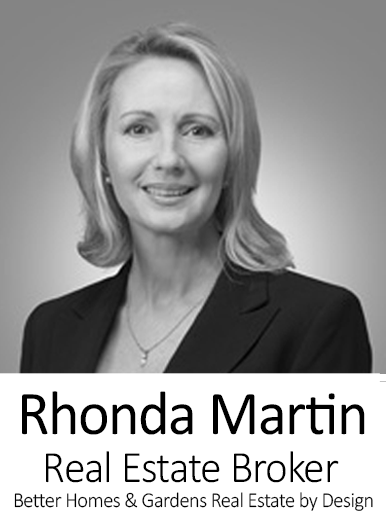 The team's broker, Rhonda Martin, has been successfully negotiating real estate transactions for over 13 years. She was able to set a personal sales record for both herself and team after hiring Chief Strategy Officer, Aaron Allison. Aaron found the team a CRM that could keep up with their pipeline while identifying their most profitable farms. Before discovering Zurple, Rhonda's team was paying for multiple CRM subscriptions. Rhonda was unable to find a CRM provider that had all the features her team needed, but was still easy to use and within their budget. Rhonda, like many brokers, simply didn’t have time to sit down and analyze which CRM was the best fit for her team. Frustrated with paying for multiple CRM subscriptions, Rhonda hired certified public accountant, Aaron Allison, as Better Homes and Gardens by Design’s Chief Strategy Officer. Aaron was tasked with finding a system to generate and manage the teams’ leads. He brought to the team experience managing leads for large and mid-sized brokerages alike. By the time Aaron joined the team, Better Homes and Gardens by Design had tried a total of 15 different CRMs. Rhonda initially chose Zurple because of the platform's landing pages and continued their subscription because it was easy to use. Aaron was familiar with the CRMs larger brokerages were using, but had never seen a system like Zurple before. What Aaron had seen before was brokerages wasting money on multiple CRM subscriptions and lead generation services. Zurple's ease of use stood out to him. As a numbers guy it was important for him to find a system that allowed him to easily keep track his agents' success. In his eyes the choice was always clear – Zurple was the one. Aaron loves the Zurple’s uniformity and his ability to export data quickly and dive in. Zurple’s Back Office segments agents and their individual leads giving Aaron the perfect overview. He can see which messages were sent, which zip codes are performing well, and which agents need to take action. Agents can add their own notes to lead files. 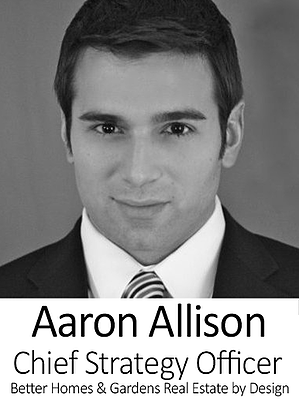 This gives Aaron the ability to do a data dump each week to see which agents are following up with their leads. With Zurple’s Back Office statistics, Aaron has steered the Better Homes and Gardens by Design Team to their most promising farms. For those less tech savvy agents on Aaron’s team, the Hot Behaviors feature tells them which actions to take, or which leads need to be contacted. Aaron loves this feature because it keeps his team up to date when he can’t follow-up with them. Better Homes and Gardens by Design generates leads not only through Zurple’s Buyer and Seller Leads programs, but also through Zillow Premier Agent and Realtor.com. By integrating their Zurple Back Offices with their Zillow Premier and Realtor.com accounts, the team can manage thousands of leads from a single platform. These portal leads also receive intelligent nurturing from Zurple's auto-conversations software. Zurple handcrafts these automated messages after collecting the online home search history and observing their individual behavior. Aaron and the rest of Rhonda's team loves these messages, because it's like Zurple is doing the work for them. In fact, Aaron states that often times leads believe it's the actual agent emailing or texting them. Without Zurple these leads otherwise receive generic drip-campaigns. Zurple ultimately helps Better Homes & Gardens by Design carry out their mission of adding value to clients’ lives before and after a sale. Features like Market Snapshot emails provide insights to those leads that are not yet ready to buy or sell. The mass email feature also allows the team to reach thousands of these portal leads in a single click. Additionally, each team member has the ability to personalize their marketing strategies. Brad for instance can continue using his email scripts that have proven successful for years. The instant follow-up ensures no one on the team misses a message or loses a potential client. Although Better Homes and Gardens by Design generates leads from a variety of sources including Zillow and Trulia, Zurple was instrumental to the team’s success in both 2017 and 2018. Aaron accredits 95% of the team’s $9,776,155 sales in 2017 to Zurple and recommends the program to any team that wants to convert online leads. He recommends for those agents interested in other systems to always do their due diligence to test out a system and see if it works. • Before finding Zurple, Better Homes and Gardens by Design tried out 15 different CRMs. They were also paying for multiple lead generation subscriptions in addition to their CRMs. Zurple's intelligent CRM with built-in lead generation platform decreased the software expenses, while providing all the features they needed. • The team could not have achieved 95% of their 9,766,155 in sales in 2017 without Zurple. Zurple's automated messages helped increase the teams' conversion rates of Zillow, Trulia, and Realtor.com leads. Ready for your team to become the next success story? Speak with a Zurple team member today!